From 'Casa Butterfly' to each and everyone of you, wishing you a very happy, healthy, love-filled holiday season and a very prosperous New Year! What is your favorite of the sentiments expressed above to try this Christmas Butterflies? Mine? Express Your Gratitude of course! Dont' forget our holiday giveaway ends on 12/29 so get your entry TODAY! Happy Holidays FTC: This is NOT a Sponsored Post! So there! I love all of the sentiments above but I laughter brings joy to my soul and forgiving others it lightens my sprite. 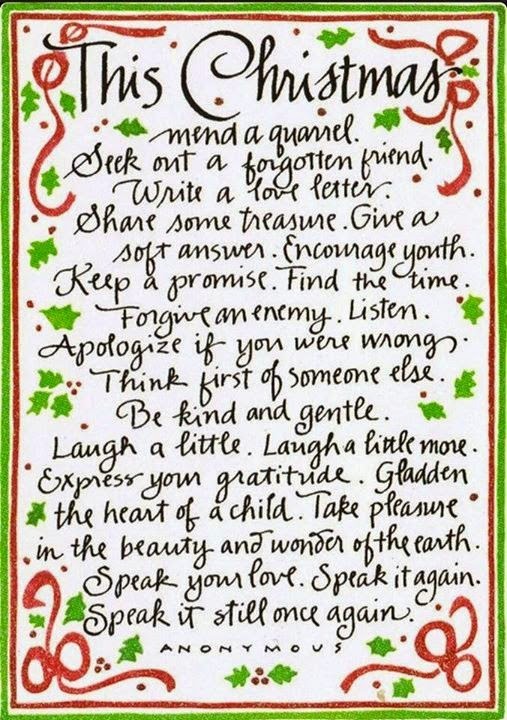 Merry Christmas and may the New Year be kind to all.